Homework for period 6,7: Finish the page with complementary and supplementary angles. Period 1: Finish the 8 graphs and adding the angles up. Period 3: No homework. If you want, the manga high website can be accessed form home. Click here to do it. Homework for period 3,4,5: Page 345 #7-17 exponent review. Exponents ADD when you multiply them!?! 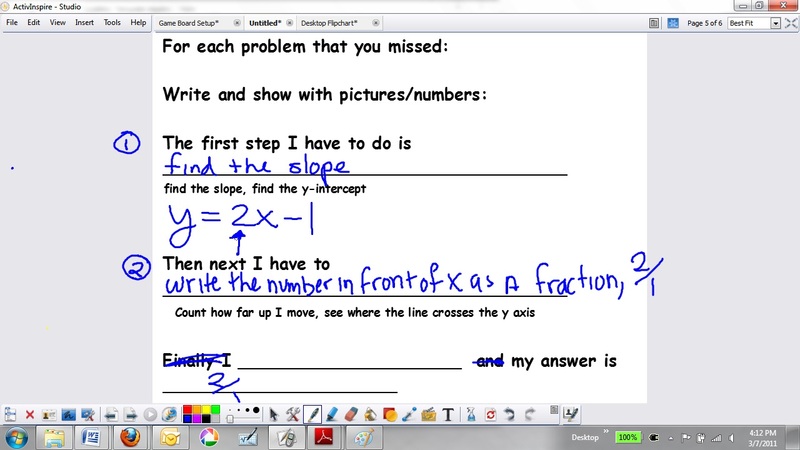 Period 3,4,5: Finish the 9 system of equation problems. 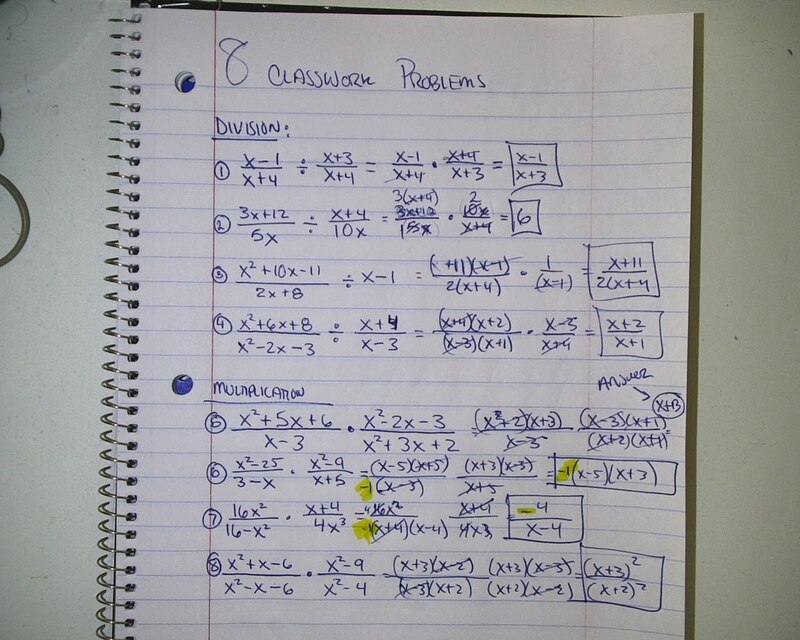 Below are some videos on how to simplify square roots, which the rest of us will do next week. Period 6,7,1: No homework. We did a benchmark and period 1 did Mangahigh. If you want some mad extra credit, get a gold medal in any of the manga high challenges I have set for you. Period 3: Finish the review on square roots, rationalizing the denominator page 211, and be ready for the test tomorrow. Period 3,4,5: Finish page 210, combining like terms with square roots. Period 6,7: Finish the exponents of exponents worksheet to #19. There was no homework for any classes today. 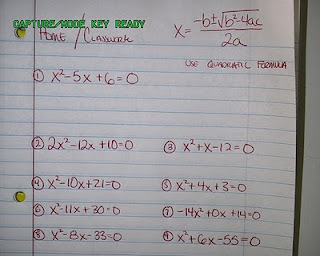 Alg Readiness: Do the day befores homework. 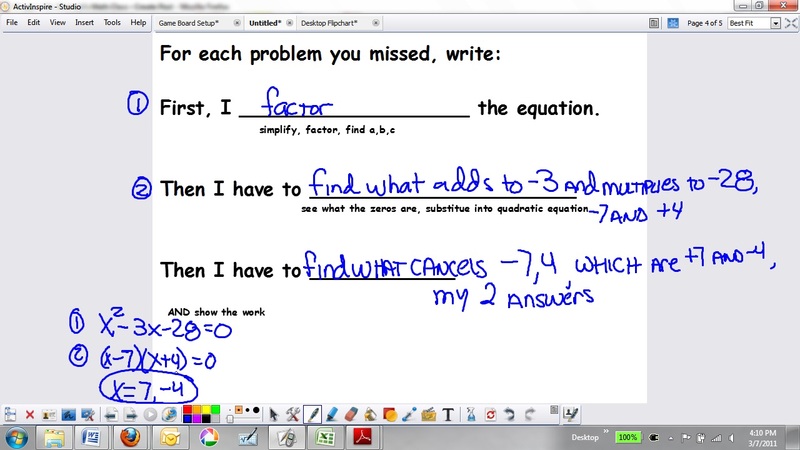 Period 1: Finish 1 side of review page, either fractions or subtracting negative numbers. Period 3,4,5: You have worksheet with 171 problems. 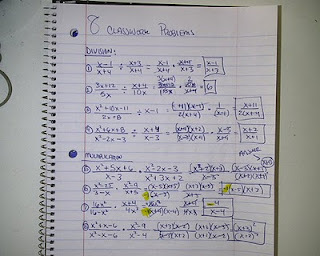 Start in section 8-5, and do about 40 problems tonight. If you want to do more, fine, but you have ALL WEEK to finish this page. Here is a copy if you do not have one or if you lose it. 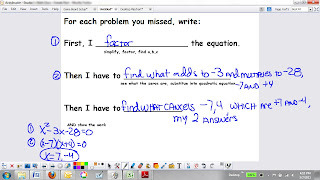 Period 3,4,5: Finish the mini worksheet on a separate piece of paper showing how you simplified fractions. 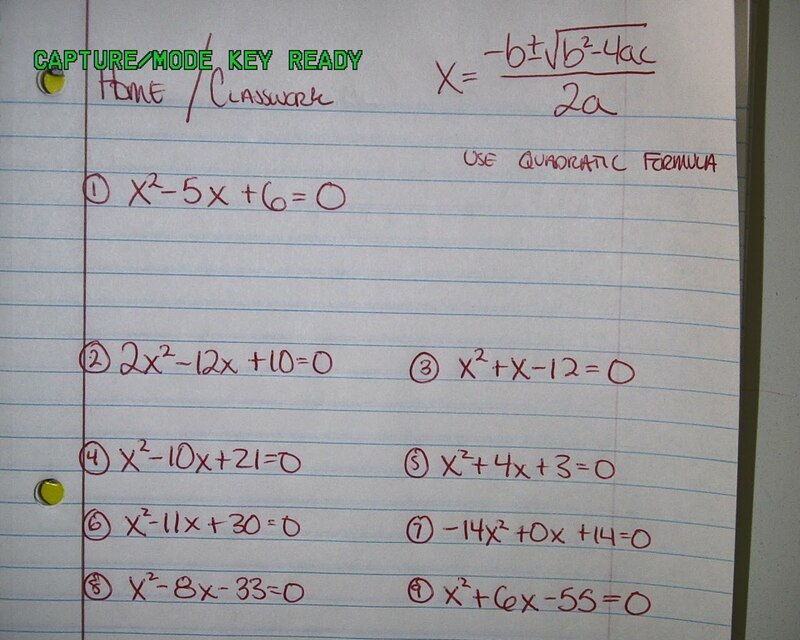 Period 3,4,5: Page83, true false questions about multiplying binomials. If you are redoing the test, be sure you are using complete sentences that explain your work. You are trying to show that you understand how to do the problems, you just made some little mistake. Homework for period 3,4,5: No homework. Bring back your tracking sheet Monday to turn in. Period 6,7: Finish 1 level of learning upgrade. Homework for period 4,5: Finish the practice test. 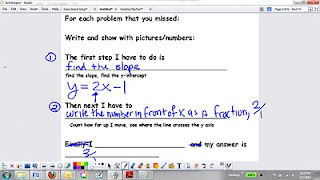 Tomorrows test will have 12 problems on it. 2 graphing, 3 finding how many answers there are, and 7 solving quadratics. It is worth a ton of points, so make sure you come prepared and ask any questions you have during the warm-up. Period 6,7: Finish the practice test. I know 6th period did not get a practice test, so click HERE for a copy of it. Period 1: No homework, we did 1 level of Learning Upgrade. If you did not do it, please do it over the weekend so I can give you your last stamp. Finish the problems from class. There are also 2 new videos up. One explaining how to graph quadratics, the other explaining how to solve a quadratic using the quadratic equation.